Well, it's about that time, folks – the annual refresh cycle of the OnePlus 2 is almost up, and OnePlus should be wowing us with its third "flagship killer" this Summer. As you probably know, the small company made headlines a couple of years ago, with its first smartphone, the OnePlus One. It was an aggressively priced handset that seemed to be too good to be true. Unfortunately, it sort of was — getting to buy one was only possible if you had an invite to do so. Thankfully, nowadays, OnePlus' invite system is only employed during the initial days of a phone's launch, and replaced by regular "in stock" sale soon after. So, what should we expect from the new OnePlus smartphone? A price-to-value ratio is most certainly on the board. But what about the actual specs? And is the company going to stick to the same design that the OnePlus One and OnePlus 2 employed? Let's gather all the rumors and see what we know so far! Price and release: June announcement, starting price of $310 (for 4 GB RAM / 32 GB storage variant). This past week, we got to see a render of different variations of OnePlus 3's alleged retail box, actual real-life shots of what the smartphone looks like, and the first purported official render. 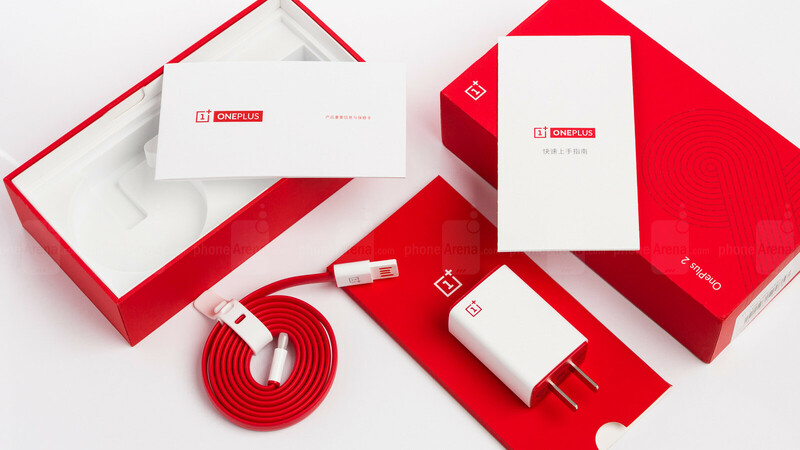 Starting with the box, we see that OnePlus is still toying with the idea of aggressive red – the company has been employing the fiery colors in its marketing and logo for as long as it has existed. This time around, it seems the box will be in pure white, with red accents placed accordingly. Now, the phone is a breath of fresh air. The OnePlus 2 disappointed some fans by looking pretty much the same as its predecessor. It had a similar shape, its Sandstone Black back felt the exact same, even the camera module was similar, though, more awkwardly placed. Well, the One Plus 3 looks like it is going to be a radical departure from the OnePlus flagship's looks, and venture into the territory of full metal. Two different sets of photos, supposedly from two different leaksters, show a more square-ish handset, with a metal back, with the obligatory plastic antenna bands also present. The smartphone packs a button on the front, which will most probably double as a fingerprint scanner. However, it's still unknown if its a mechanical button, or a capacitive touchpad, like the one on the OnePlus 2. The physical mute button also seems to be making a return, and we do love this feature on the OnePlus 2 / OnePlus X. So, gone are the oval shapes and accents from before, the OnePlus 3 looks more like an inflated version of the midrange OnePlus X, which the company launched near the end of last year, only with a metal back, instead of glass or ceramic. If we were to liken the handset to something else, we'd say a mix between LG's G5, HTC's One M9, and a twist of Samsung with that very familiar camera bump. No surprise here – we are expecting the “flagship killer” to at least have flagship specs. Interestingly enough, however, this year, we are hearing that there may be two different versions of the OnePlus top-tier smartphone. Of course, one will be cheaper, but with lower power, and the other one will be all top-of-the-crop, but a bit more expensive. For both variants, rumors are saying that the Snapdragon 820 will be the SoC of choice. Makes sense – it's this year's flagship processor of choice. The “lower power” variant would have 4 GB of RAM, while the “premium” variant is said to up the ante with 6 GB of RAM — now that's a Galaxy Note 6 competitor right there! Rumors about storage are all over the place — some claim the cheaper variant would only have 32 GB of storage, while the other one would have 64 GB, but it's also possible that each variant could have at least two storage tier options. The phone's display is said to be a Super AMOLED panel, instead of an LCD one, and is expected to have either a 5-inch or 5.5-inch diagonal. 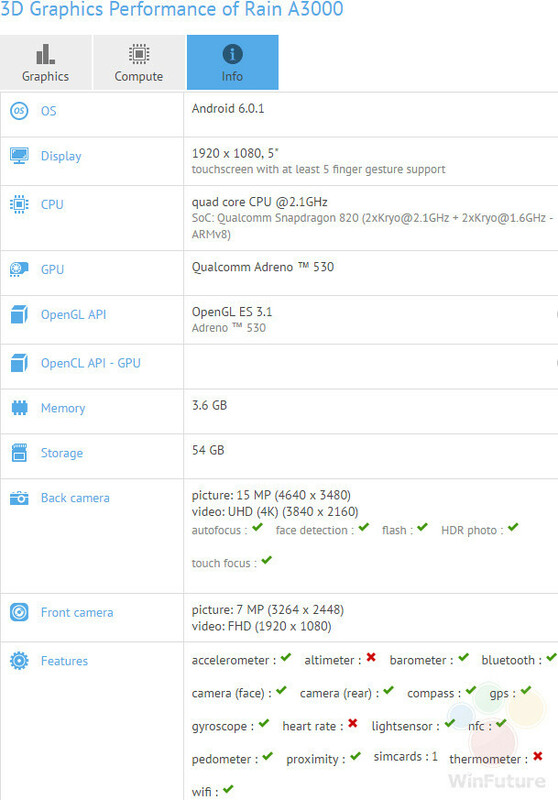 Yes, that's quite the range — older rumors demand that the handset will have the same display size (5.5") as its predecessors, but the GFXBench listing, which gave us details about its specs, clearly said that the device's display has a 5-inch diagonal, so we are not sure what's going on here. In any case, it seems it's going to retain the 1080 x 1920 (Full HD) pixel resolution. So, OnePlus, allegedly, refuses to jump on the 1440 x 2560 (QHD) bandwagon, and this will certainly please users who are against such an upgrade. FHD resolution, stretched across 5.5 inches equals 400 pixel-per-inch density – that's a very, very crisp image, without needing to put too much strain on the phone's GPU. Not much is known about the camera as of yet. Rumors say that the back snapper will have a “very wide” aperture, which means more light and shallower depth of field, and a 16 MP sensor. The selfie cam would, allegedly, have an 8 MP resolution for extra-detailed mugshots. The OnePlus 3 was also rumored to come with a large, 3,500 mAh battery, but leakster @evleaks, who has a track record of being pretty on-point, especially when a device is close to launch, has said that it will be a 3,000 mAh juicer instead. That's 300 mAh less than the previous model had, but we'll have to wait and see how this all translates to battery life. The OnePlus 2 didn't do well in that department, performing far worse than the original OnePlus One. Will the third one regain the lost glory? Now, rumors say Qualcomm's Quick Charge 3.0 will not be enabled on the OnePlus 3. Instead, the company will install a proprietary system for fast battery fill-up, called “Dash Charge”. We'll have to wait and see how that turns out. 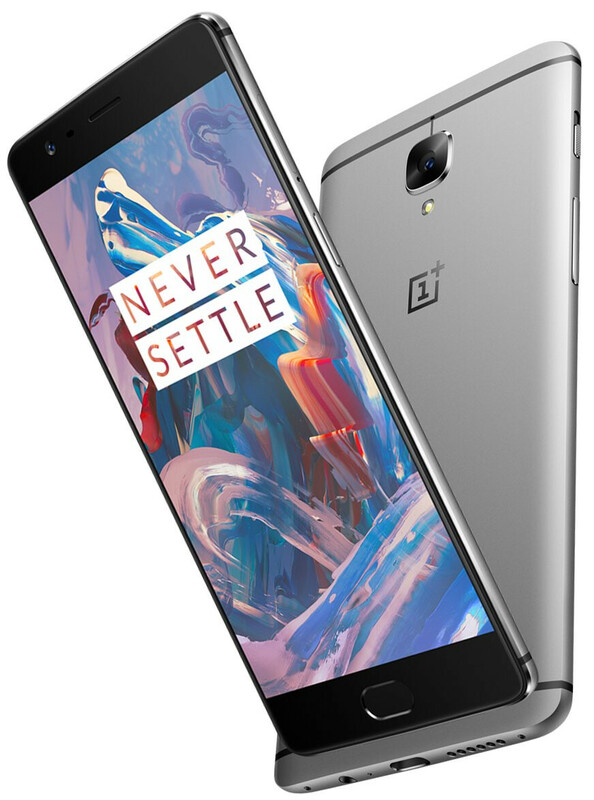 The OnePlus 2 was announced at the end of July, 2015, and released on the 11th of August, while the OnePlus One was launched in April of 2014. So we are not dealing with an exact schedule here, and guesswork could give us quite the wide estimate. For all we know, the OnePlus 3 should launch some time this summer, and rumors insist that the phone will be announced in June. As far as pricing goes, the 4 GB RAM version, possibly of the 32 GB storage tier, is said to be priced around the $310 mark. There is no word on how much the 6 GB RAM would cost, but we assume that would be between the $360 and $400 mark. Of course, we are expecting the dreaded OnePlus invite system to bottleneck purchases in the first days of the phone's launch. Hopefully, it will only be for a short while, as OnePlus' operation seems to have grown enough to be able to handle a healthier dose of demand. it it has a good dac like the htc 10, then ill buy it. You want a good dac that's even better than the htc 10. Try the Vivo xplay 5 elite. Wow, hope it comes with 6gb Ram. Definitely will buy it. If it's 4gb Ram, no thanks. My S7Edge is fine. The only other option would be Note6. With 6gb Ram. Friend truth is not that presume to things that you got , hopefully and if you break the cell and realize that life goes on and is more important than the most expensive buy and hold . Why do you want 6gb of memory? I want to understand the difference in multitasking with 4gb of memory vs 6gb of memory. If it's anything like the original oneplus one, then I might pick it up as my android phone. Actually, it does make a difference, first of all, only your thumb moves when u r using the touchscreen. So that means the smaller the touchscreen, the less you have to move. Yea the width of the phone would also matter, but windows the screen size. So iPhone 4.7 inch is still somewhat more easy to use compared to larger screen size. @ZunaidAhmed That's a great point, mate! Well said...! Of course it does! There are some holes in your argument, however: - First off, it's not just the touchscreen?? You also have to keep in mind whether there are capacitive / physical buttons or not. Though they're similar in size, I guarantee you the Xperia Z5 Compact will be less of a handful to operate than an iPhone 6S. This isn't just the width; it's also because of the presence of software buttons. - Second, no, the bezels still do count. I don't know about you guys, but most people I know grip the other edge of their phone when using a phone one-handed to keep it secure in their hand. Now if the bezels were thicker, oh my! It would make the phone wider and therefore harder to hold, wouldn't it? - Oh, and even following your logic, bezels still matter. Consider the amount of bezel your thumb has to get through in order to touch whatever you're trying to. That's going to get in the way, too. My point stands. @Konsento Yes, you're right about iPhone's bezels... As a matter of fact; I was already aware of this fact for I am no 'Fanboy'... I've had the pleasure of wielding an iPhone 6S at a demo, and you're correct, it felt almost... 'Almost' as big as my Nexus 5...! I'm speaking from a different perspective, mate... I'm talking about growing trend of 'Phablets' which I utterly dislike, you see? To me 4.5" to 5.2" is the 'Holy Grail" as far as Smartphone displays goes... G'Day! Oh, and besides, 5.2"+ displays can work if you shrink the bezels enough, eh? Take a look at the Samsung Galaxy S7 Edge - it's rocking a 5.5" display but it's 72mm wide-- in the leagues of competing phone with 5.2"-ish displays. I don't think you should judge phones by their display size; it's really the dimensions, materials, and ergonomics that determine the phone's handling experience. These are my speculations: The 6GB ram variant will have a 5.5" screen and the 4GB variant we see in GFXBench will have a 5" screen which will replace OnePlus X. The reason to this speculation is that recently in Twitter Car Pei @getpeid tweeted that budget phones are crap. OnePlus X is very much a budget phone with cuts with lower end processor and no fingerprint sensor. If that's the case, the lower than OP2 launch price makes sense. OnePlus keeps promoting "flagship killer" but their marketing department is the true killer for the products. An invite system for a sub $300 phone? They shot themselves in the foot and it's too late to make amends. I wish they can make the 5.5" screen version with 4GB of RAM and a 3500 maH battery.